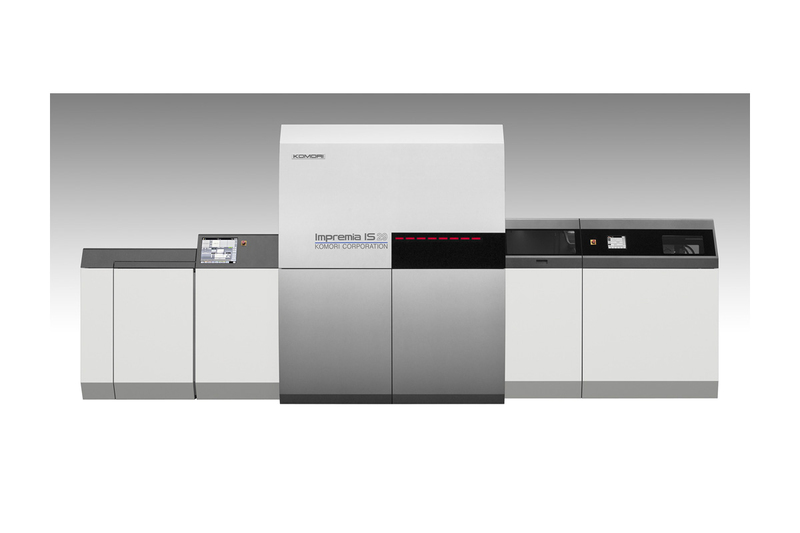 The Impremia IS29 is an innovative machine that delivers on Komori's three core competencies–product reliability, high quality and substrate freedom. With the ability to print four colors in straight or perfect mode, the IS29 runs at speeds of 3000 sheets per hour simplex and handles a 23" x 29" sheet, making it ideal for six-up applications. With full variability and near-offset quality, the IS29 is ideal for short- to medium-run work. Paper Types Offset-grade gloss coated, matte coated, uncoated, textured, and embossed paper along with many synthetic substrates. Footprint: Main Unit: 17'7" x 9'8"""